Medical Conditions Tener has a history of drug abuse. Distinguishing Characteristics Caucasian female. Brown hair, brown eyes. Tener has tattoos on her chest, arm and ankle, and her ears are pierced. Some agencies spell her middle name "Michelle." She smokes cigarettes. Tener was last seen at her trailer home on Drexel Road in West Palm Beach, Florida on August 25, 2004. Her thirteen-year-old son woke up and found his mother gone. Tener's family reported her missing on August 29. She kept in daily telephone contact with her mother, but none of her relatives have heard from her since her disappearance. Tener left behind her new car and never picked up her last paycheck at Maid USA in Delray Beach, Florida. Although she had previously left her son alone a day or two at a time, her family says it would be uncharacteristic of her to abandon him completely. She left her driver's license, jewelry and money behind at home, and her son later found her lighter and cigarettes on the ground outside. 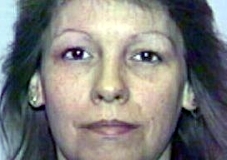 Mark Barrow, one of Tener's neighbors, was tried for her murder in 2007. A photograph of him posted with this case summary. He is known to have disliked her because she gave drugs to his live-in girlfriend, Peggy LaSalle. Three small bloodstains, just a few drops, were found in Barrow's van after Tener's disappearance; the blood was hers. LaSalle stated she and Barrow took his car to the car wash and she saw him scrubbing the seats of his van and wiping blood off the passenger seat with a towel. At Barrow's murder trial, LaSalle testified he had confessed Tener's murder to her. He allegedly told LaSalle that he and Tener had had an argument and he grabbed her by the neck and threw her out the door of his trailer. Tener fell and struck her head and began bleeding, and threatened to call the police. Barrow became enraged and beat her with a rock and a sledgehammer, tightened a zip-tie around her throat, put her body in a plastic bag and dumped it in a canal. After Tener's disappearance, the canal where Barrow allegedly dumped her body was flushed into the ocean to prevent flooding from Hurricane Frances and Hurricane Jeanne. Authorities believe this is why Tener's body was never located. In court, LaSalle admitted she was under the influence of alcohol and the anti-anxiety drug Xanax when Barrow supposedly confessed the murder to her, and that she had memory problems because of her substance use. According to Barrow, on the night of Tener's disappearance he had a party at his trailer. She came to his trailer at 11:00 p.m. and then again at midnight, looking for her son and for LaSalle, who was in a drug rehabilitation facility at the time. He said he was drunk the last time he saw Tener and that he didn't hurt her and she was alive when he she left him. Barrow's lawyers maintained that Tener was not dead, but had left the area to avoid trouble with LaSalle. They suggested she moved back to Ohio, where she had lived before moving to Florida in 2003. Barrow was convicted of Tener's murder in August 2007 and sentenced to life in prison, but in 2012 his conviction was reversed and sent back for retrial. He was tried again in June 2018. He maintained his innocence, but was convicted and sentenced to a mandatory term of life in prison. Tener previously lived in Ohio. Although her remains have never been recovered, foul play is suspected in her case due to the circumstances involved. Updated 6 times since October 12, 2004. Last updated June 18, 2018; details of disappearance updated.